Naaman, Commander of the Syrian army, had made the long trek to Samaria at the approval of his king. A man of valor, Naaman was instrumental in several successful raids against Israel. Albeit, the one thing he was unable to conquer was the leprosy that was slowly eating away at his flesh. Hearing of a prophet named Elisha from a young Jewish slave girl, faith rose within him that the God of Israel could heal him. But now, instead of receiving his healing in the manner and flair that he had envisioned, Naaman was storming off in a rage. “Wait, my father!” pleaded his servants as they ran to catch up with him. “If the prophet had told you do something great, would you not have done it? How much more then, when he says to you, ‘Wash, and be clean?”’ The sense of urgency could be heard in their tone. Lowering his head, Naaman conceded that his servants were right. Pushing aside his pride, the Commander walked to the edge of the Jordan. Sighing, he reluctantly removed his tunic. Where once healthy skin covered his body, now a patchwork of dry pale skin intermittently mixed with darker healthy skin remained. Stepping into the water, Naaman obediently dipped as instructed. One time, followed by two…three dips then four. Nothing was happening! Five dips, now six. Was the prophet right? Would he be healed? There was only one way to find out. Taking the seventh and final dip, Naaman rose up from the cover of the water. Looking down at his body, his skin was not only cleansed of all leprosy but was restored to that of a small child. Praise God! This story of God’s mercy is compelling on many levels, but I would like to focus on one aspect. In verse 11 of 2 Kings Chapter 5, Naaman makes an interesting comment. He says, “Indeed, I said to myself, ‘He will surely come out to me, and stand and call on the name of the Lord his God, and wave his hand over the place, and heal the leprosy.’” Naaman was expecting Elisha to make a big deal over his presence and to perform a holy ritual worthy of his (Naaman’s) religious ideology. When it did not happen the way he expected, he turned away in a rage. Fortunately, Naaman had bold people around him to talk common sense into him. Had they not been there, he would not only have missed the physical healing of his body, but the spiritual healing of a prideful soul. How many times have you or I had a preconceived notion concerning the manner in which we thought the Lord should do something for us? When it did not happen in accordance with our ideology, did we, like Naaman, storm off in a rage spouting that God must not care? If God is telling you to do something in a particular manner, rest assured that He is telling you for a good reason, one that will benefit you in a way you never imagined. 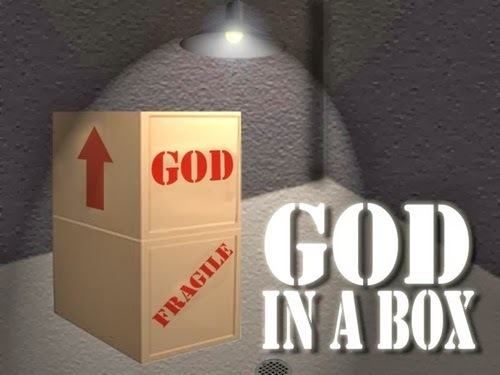 Do not try to hold God in a box of preconceived notions, but allow Him to operate in the manner He chooses, a manner which will always be in line with His Word. Be blessed! Thank you much. I tend to write about things I deal with personally in my life. Patrick Hawthorne posted this and I wanted to share.